Returning to Chicken each March/April from our home in Homer or some other farther place has been an annual event for 31 years. Typically, it starts with a loaded down truck and trailer leaving Homer in a spring coastal snowstorm as happened yesterday, and takes anywhere from 14 hours (fast trip, few stops) to almost 24 hours (lots of stops, mostly in Anchorage). It sounds like a horrendous endurance drive, but I usually find it one of the most satisfying events of the year. Why? There are a couple of ingredients to this 600 mile spring trek north that set it apart from some ordinary cross country trip. I'll try to explain with a description of yesterday's journey. As most long trips with heavy loads start, there was a few last minute additions, hooking up the trailer, checking lights, cinching straps, checking the list and finally off and within a block of leaving, an anxious thought that maybe this load is too heavy for the trailer, or maybe I should have re-greased the beaings, or a few other possible thoughts of paranoia. But after a few miles, the concern wanes and the road takes control. Yesterday, the trip north started in a coastal snowstorm, but having checked the weather at 3 or 4 locations going north, it sounded like just a coastal event with better weather farther north, which is usually the case in the spring and one of the reasons I like heading to the Alaska's Interior at the end of winter. The transition from winter to spring is more clear cut away from the coast. 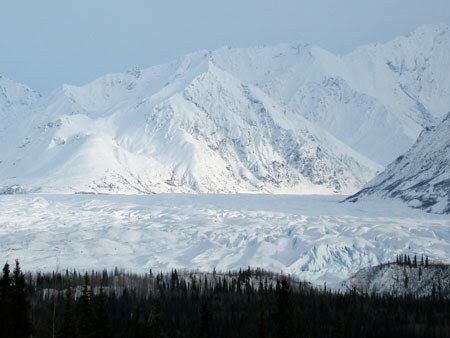 The drop from the mountain pass to Turnagain Arm and the next 45 miles driving along muddy icebergs racing with the out pouring tide was stunning, but the traffic and speed picks up as Anchorage is approached. For the next how ever long until I find myself leaving Palmer, the traffic and the masses contribute to why the rest of the trip is so magical. From Palmer east and north driving between the Talkeetna Mtns to the north and the Chugach Mtns to the south and then skirting the Wrangels before crossing the Alaska Range to the Tanana River valley and the Interior, the traffic rapidly thins out until finally leaving Tok and heading north up the Tayor Hwy, I find myself alone heading into a twilight on the northern horizon quite often changing into the faint dance of the Aurora or a ghostly moonscape. The beauty on this part of the trip does not diminish and never disappoints. The vast wilderness, the emerging solitude of the empty road north, the quietness of this space combine to create a focus I seldom am able to find elsewhere. My thoughts find no interference from the rest of humanity. I feel akin to the migrating birds heading back to a magnetic destination, but alone, but not feeling lonely. I make more frequent stops once I turn north at Tetlin Jctn. to immerse myself in the space. The silence of the north in the late winter and early spring, combined with the dry, crisp mountain air and forever vistas enriches my soul. 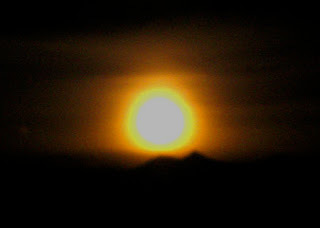 Like a lone wolf singing to the moon, I am home. The Pedro dredge is a self-contained diesel-electric powered gold processing and recovery machine, a stacker dredge of conventional design. It is one of two of F.E. Co.’s pontoon style dredges with the hull made up of various sizes of separate pontoons. Its barge-like hull is constructed of 24 steel pontoons with a combined weight of 225,101 pounds. The hull is 85 feet long, 44 feet wide and 6.5 feet deep not including the side mounted pump houses. The 2 story superstructure is a steel and wood frame enclosed with metal sheathing which houses the engine room, main drive room, screen house, gold recovery tables and winch room. The dredge, when fully loaded had a draft of 5.5 ft and displaced 500 tons. The electric dredge is powered by two Cat D375 diesel power plants with 480 volt, 185 KW generators. The bucket line, which is composed of 65 three cubic foot buckets, is driven at 29 buckets per minute around the 55 feet long digging ladder by the 40” diameter upper tumbler made of nickel chromium steel and turning at 4.7 rpm. The lower tumbler, four feet in diameter, is made of manganese steel. The dredge has two spuds for anchoring and “walking”, each 36 feet long and weighing 13,430 lbs. The dredged material is emptied from the buckets into a hopper that feeds a 30.5 feet long x 5 feet diameter trommel screen turned by a 25 hp motor. The fines passing through the screens pass across 1360 square feet of recovery tables. The steel transverse tables are set at a grade of 1.25 inches to the foot and the longitudinal tables are set at 1.125 inches to the foot. The boxes are all equipped with standard iron shod or rubber shod trap riffles and expanded metal over coco matting. On the bow side of the hopper is 100 square feet of save-all tables for processing the material spillage that misses the hopper. Water is pumped to a spray manifold running through the screens and to the recovery tables by a three pumps: a 50 hp high pressure 8” X 10” pump, a 30 hp high pressure 6” booster pump and a 30 hp 8” X 10” low pressure pump, all of which are primed by a 5 hp 3” pump. The operating flow rate for all pumps is approximately 6000 gallons per minute. 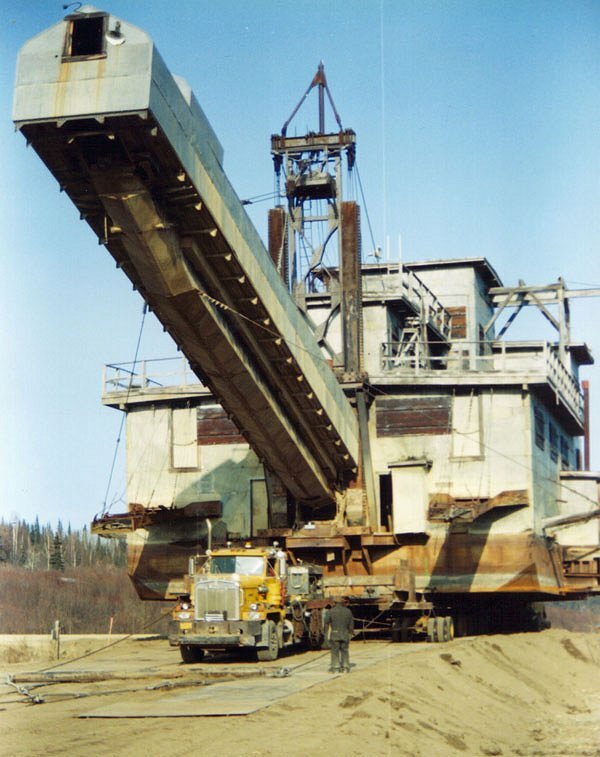 The oversize material from the screens is deposited behind the dredge by an enclosed stacker housing a 2.5 feet by 80 feet conveyor driven by a 25 hp motor running at a maximum of 308 feet per minute. The dredge is equipped with four line winches, a ladder hoist winch, two spud winches, a 7.5 hp jitney winch, 3 hp foot bridge winch, jib crane, 400 amp Westinghouse welder, miscellaneous mechanic and black smith tools, grease pumps and fire equipment. One of the pontoons houses a 18hp Kewanee oil-fired boiler which was used for heating the digging ladder, stacker, main hopper, recovery tables and save-all as well as cutting ice from the dredge pond each spring. The heat allowed for early spring and late fall operations. The Pedro dredge produced around 58,000 oz of gold during it’s time on Chicken Creek, which would equate to roughly 50 million dollars today. The dredge shut down in 1967, locked and boarded up until 1998 when it's ownership changed. 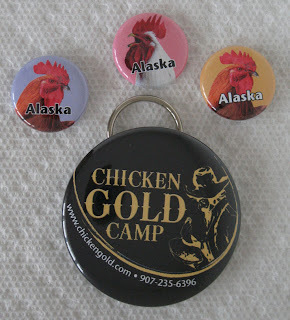 It was moved about one mile down Chicken Creek to its present location at the Chicken Gold Camp. 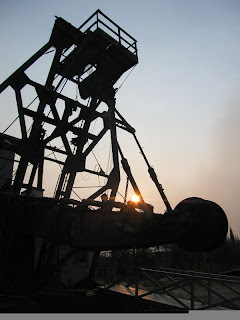 The dredge was listed as a National Historic Site in 2006 and opened to the public. In September of 2009, it was moved again, but only 150 yds, to provide room for a thaw field display to be added in the summer of 2010. The dredge has finally found its permanent resting spot. As a business involved in retail sales in a small local market, we are always striving to set ourselves apart from other retail businesses with unique offerings. We don't buy into the mass marketing of cheap, imported "tourist trinkets". We look for product that it is both made locally, within the context of our Arctic neighbors, and made by small businesses or individuals. We like fresh distinct items, especially when they are made from and represent northern resources and culture. Some of our product is manufactured by us, especially the items that incorporate local resources such as gold, ivory, mushrooms and the like. Some of our product is designed by us with the manufacturing outsourced. Simply put, we are entrepreneurs looking for product created by other entrepreneurs. Recently, we connected with Erika Klaar, who was a 2009 finalist in the Alaska Business Plan Competition, an annual competition which provides a platform for Alaskan entrepreneurs seeking growth opportunities for their business ventures to showcase their business plan and seek venture capital. (One of the sponsors of the competition is TEAM, a group of can do entrepreneurs, innovators, educators and mentors who create innovative business opportunities for Alaskans to which I belong.) Erika started E'Klaar Headwear, and creates brilliant, unique headware designs which have been a hot item lately. We like Erika's designs and products and her business story which we are going to get behind. We will have Erika's cool headware on our shelves this summer. There are many notable personalities that spent years looking for their gold fortunes in the Fortymile. Those that spent more than a few seasons in the country, often settled down in one of the several communities that are now mostly ghost towns. One of the early characters on the scene was George Matlock, who made his way into the Fortymile country, poling his boat up the river, shortly after hearing about Howard Franklin's strike in 1886. Matlock and several partners staked or bought a claim on the South Fork in 1887 and spent part of that season mining. 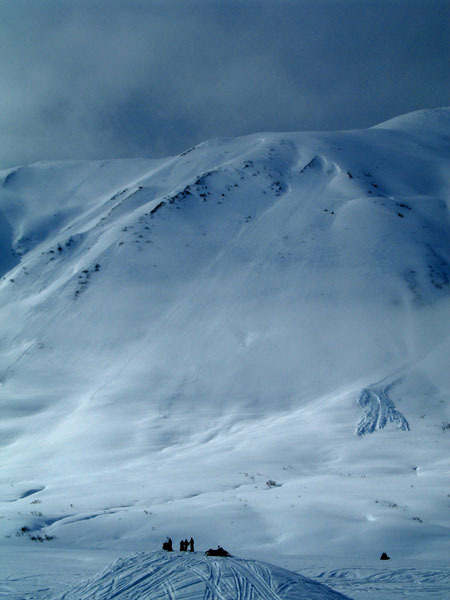 They wintered in the community of Fortymile on the Yukon that first year so they could whipsaw enough lumber to build boxes and flumes to work ground owned by Frank Bateau who had accumulated $3,000 in gold dust from the previous season's work. They survived on caribou meat, reportedly as many as 40, a bag or two of moldy flour, some moldy beans and a little dried fruit as the supply ship, the Arctic, had been damaged and could not make it up the Yukon before freeze up that year. In traveling through the Fortymile country, Matlock ran across a boulder on the Middle Fork, which he recognized as having extremely rich gold mineralization. Not having any way to break up the boulder, he made note of the location and continued on. He later learned that another miner had reported finding indications of a rich gold deposit on the Middle Fork, so Matlock returned but could not locate the spot where he had previously found the boulder of gold. George Matlock and his partner, Frank Bateau, continued their pursuit of gold at various locations in the Forlymile. They built one of the first successful flumes used to move dirt, which reportedly developed 24 lbs of head pressure. Matlock eventually married Jessica Mathers of Eagle and settled down in Chicken. He continued looking for the rich gold he had seen that first year for the rest of his life, but eventually died in 1933 having never found it. 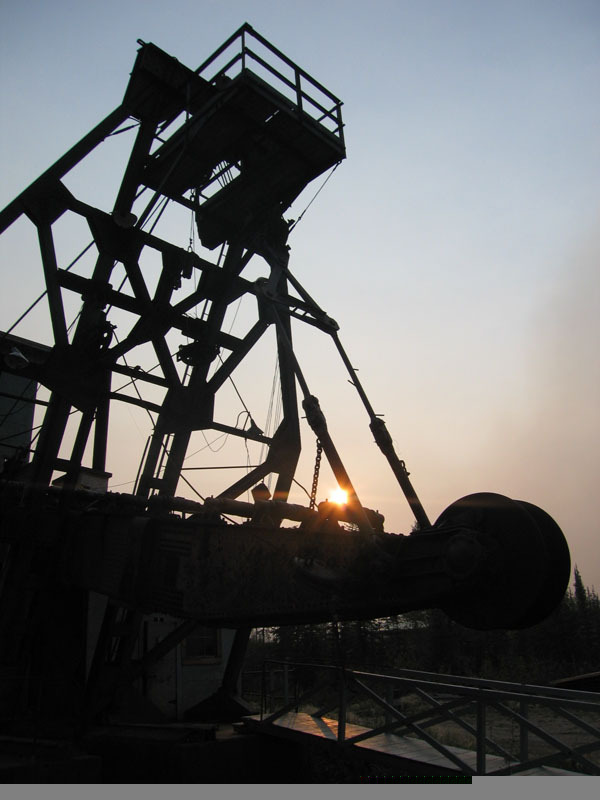 Gold was discovered in the Fortymile River country long before the famous Klondike gold strike. As early as 1881, prospectors had found gold here. Discoveries in 1886 on Bonanza Bar and later Franklin Creek sparked the first rush to the interior Alaska. In the early days miners and prospectors walked, rafted, and rode horses to get to the Fortymile country. In winter they used snowshoes or sleds pulled by horses or dog teams. They mined by hand, using shovels, gold pans, rocker boxes and sluices. Trails developed and communities like Franklin, Steele Creek, Jack Wade and Chicken sprang up. 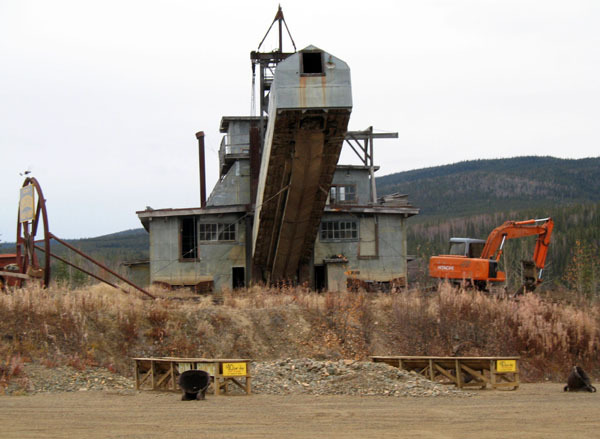 The population rose to 1,000 and, for a time, the Fortymile Mining District was the richest mining area in the Yukon valley. After the initial rush to the Klondike, a second wave of miners arrived, using steam-powered shovels, dredges, drag lines and later bulldozers. 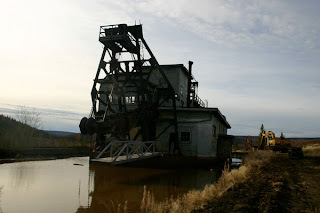 The first dredge brought into the Fortymile Mining District was the Butte Creek dredge also known as the Russell King dredge, and later, the Jack Wade dredge. The Jack Wade Creek dredge was originally known as the Russell King dredge after the man who contracted to have it built.. It was manufactured by the Risdon Iron Works of San Francisco in 1906. It was shipped to Skagway, then onto Whitehorse via the White Pass Railroad. From there it went down the Yukon on a paddle wheel river boat to the encampment of Fortymile at the mouth of the Fortymile River where it waited until the Fortymile froze. 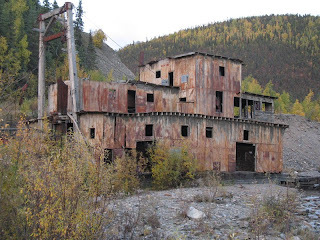 In the winter of 1907, the crates were freighted on sleds up the Fortymile, and South Fork to Walker Fork and finally assembled on mining claims at the mouth of Twelve Mile Creek on Walker Fork. Unfortunately Russell King proved to be a better promoter than prospector and the dredging operation was abandoned in a couple years. It sat idle until 1912 when it was dismantled and relocated by horse-drawn sleds on the South Fork of the Fortymile River between Uhler Creek and Franklin Creek until the pay streak ran out, when it again was abandoned on a gravel bar just above Franklin for 22 years. 1934, renewed interest in gold mining inspired Ed Holbrook and North American Mining Co. to move the dredge with sleds and small gas driven tractors to Wade Creek. They replaced the old open-connected bucketline with a close-connected line, which required flying 32 new buckets, weighing 700 pounds a piece, individually from Chistochina one bucket per load. The dredge started mining on lower Jack Wade in 1935. In 1939 it was sold, moved to upper Jack Wade and converted to diesel. The headline was replaced with a spud. However it still had the original rope drive, so when the rope frayed, none of the crew could splice the rope. But the worst problem was a cracked ladder that they repaired with steel beams. But the manor in which it was repaired concentrated the stress at the ends of the reinforcement. In the middle of the night in August 1941, the ladder broke and fell into the pond. It was that winter all the gold mining in the US was shut down for World War ll. 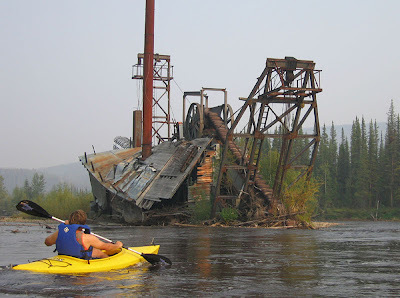 The Jack Wade dredge was never re-started after the war. Over the next month, I hope to write a few stories about the creation of some of the inventory we select (or make) for the Chicken Gold Camp. 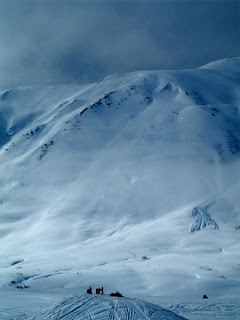 Since our inception ten years ago, we have tried to offer primarily Alaska and Yukon made product. In the last few years, we have leaned more towards one-of-a-kind art than mass-produced items. A few years ago, we starting selling "Dancing Man Knives and Ulus" made by Maynard Linder. 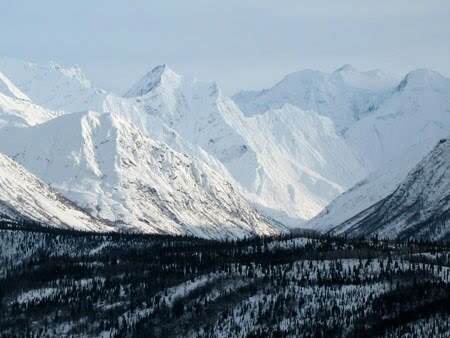 Maynard collects all of his steel, mostly in the form of old saw blades, and caribou antler sheds on the Seward Peninsula during the summer months and fashions authentic ulus and knives over the remainder of the year. Today, I visited Maynard and Brian, one of his carvers. Brian is now doing scrimshaw for which I will be doing a separate story in the next few days. 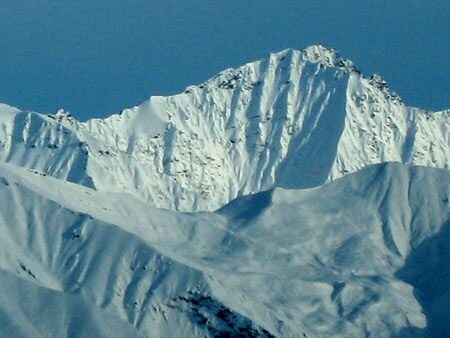 Maynard's shop is housed in a small "shack" in the hills above Kachemak Bay. Beautiful vista outdoors and indoors an assortment of saws, grinders, buffers and other tools of the trade all literaaly buried in bone, antler, saw blades, antler and bone dust, various piles of partially finished product and more dust! Maynard and Brian explained and demonstrated the some of the steps taken to produce knives and ulus. The blades are cut from old saw blades (cross-saws and other antique, high carbon steel blades) in the shape needed for the desired style of ulu or knife, which there are a large variety offered. The handles are cut and shaped from caribou, moose or deer antler, oosik, ivory, musk ox horn or rib bones from extinct Stellar Sea Cows. They are sliced to accept the end of the steel blade. The steel is set in epoxy and rivited through the handle and blade. The blade is sharpened and the handle polished. Some of the handles are then scrimshawed. Woke up to a fresh blanket of snow and atmospheric soup. A wintry mix on the eve of spring...no surprise. It was a good day to finish the bathroom remodel and drink a 2nd macchiato; I'm always looking for an excuse for the latter. So it is easy to turn my thoughts to one year ago camped on Dead Horse Point in Canyonlands. Spectacular place, like being perched on the edge of the earth. The legend of Dead Horse Point has cowboys corralling wild mustangs on the Point, then chosing the horses they wanted. One time, for some unknown reason, horses were left corralled on the waterless point where they died of thirst. March, the 1st month of spring or the last month of winter??? The kids both arrived home last Friday, Wes from Colorado and Josea from Fairbanks. And Josea's friend (and ours), Anthony, from Chicken, came with her. They are two of the three owners of Ruby's puppies, so our puppy grandparenting is about to come to an end. It's been a blast taking care of the pups the past 2 weeks. Our last few remodeling jobs have moved to the back burner with the kids arrival. The weather has not been awesome as it was through most of January and February, so we've opted for some indoor time: pool tournaments, lot's of kitchen creations and a few good movies. And lot's of Yukon Quest stories.